Ubiety – state of being in a particular place; thereness. It’s official – Cathy Odgers, who is better known as Cactus Kate, has confirmed she’s put her name forward to be a candidate for Act. Seeking to be a candidate is the just first step on the journey to becoming an MP. But she has professional qualifications which could be useful in parliament and she is young and female which contrasts with other current and potential Act MPs. Loyalty to the Leader of ACT and focus on the ACT Party principles is paramount in any potential candidate. ACT is a small party and in 2011 it has to be a unified party of qualified, motivated candidates heading into the election. I support Don Brash as Leader of ACT and I support unequivocally the campaign management team and Board. Then there is acerbic blogger Cactus Kate, who positions herself as dangerously prickly but is actually a very kind person, in private, when no one’s looking. Those on the pink to red end of the political spectrum like to think they’re the only ones with compassion. They’re wrong, there is at least as much compassion on the blue end. Many of the differences over politics aren’t about the goal but the journey and how best to pay for the trip. I am not an Act support and Cathy’s candidacy won’t change my voting preference. But one of the virtues of MMP is that it enables a wider range of views to be represented in parliament and having Cathy as a candidate could help the party broaden its support. Hone Harawira has held out a sort of olive branch to the Maori Party, saying he wants to work with it. But he’s far better at activism than co-operation. If he couldn’t work well with Maori Party MPs when he was one of them there’s very poor odds on him making a better job of it now he’s leading his own party. 8/10 in Stuff’s Biz Quiz (with several guesses). Some newspapers have a regular column in which they correct errors they made. A journalists’ chat group of which I’m a member informs me that one of the corrections in a recent Dominion Post was over its beat-up on dairy farmers not paying tax. The story was a front page feature of the print edition and is still online. I didn’t see the correction but I understand from chat group comments it got a much more modest placement in the paper and if it’s online I haven’t been able to find it. That appears to be a very small correction for what was a very big mistake. Do you remember when we used to own the Health Computing Service, DFC, Communicate New Zealand, the National Film Unit and the Tourist Hotel Corporation? I have vague memories of some of them being state owned but had completely forgotten the others. They are among the 17 assets sold by previous Labour governments which Keeping Stock lists. There are valid questions about the way some of the assets were sold. But would we be any better off as a nation if we still owned them, especially those which were in direct competition with private enterprise? 1358 Republic of Dubrovnik was founded. 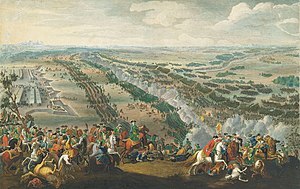 1709 Peter the Great defeated Charles XII of Sweden at the Battle of Poltava. 1743 War of the Austrian Succession: Battle of Dettingen: On the battlefield in Bavaria, George II personally led troops into battle. The last time that a British monarch would command troops in the field. 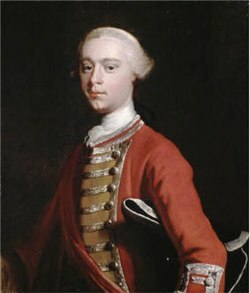 1759 General James Wolfe began the siege of Quebec. 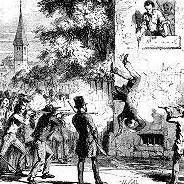 1844 Joseph Smith, Jr., founder of the Church of Jesus Christ of Latter-day Saints, and his brother Hyrum Smith, were murdered by a mob at the Carthage, Illinois jail. 1846 Charles Stewart Parnell, Irish independence fighter, was born (d. 1891). 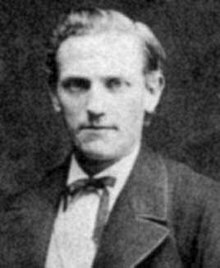 1850 Jørgen Pedersen Gram, Danish mathematician, was born (d. 1919). 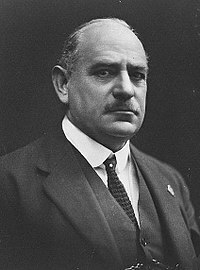 1865 Sir John Monash, Australian military commander, was born (d. 1931). 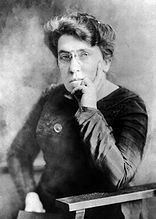 1869 Emma Goldman, Lithuanian/American anarchist and feminist, was born (d. 1940). 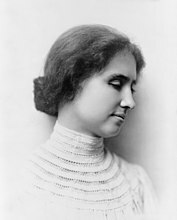 1880 Helen Keller, American deaf and blind activist, was born (d. 1968). 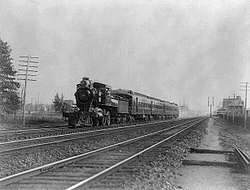 1895 The inaugural run of the Baltimore and Ohio Railroad’s Royal Blue from Washington, D.C., to New York City, the first U.S. passenger train to use electric locomotives. 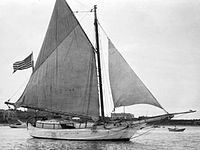 1898 The first solo circumnavigation of the globe was completed by Joshua Slocum. 1905 (June 14 according to the Julian calendar): Battleship Potemkin uprising: sailors started a mutiny aboard the Battleship Potemkin, denouncing the crimes of autocracy, demanding liberty and an end to war. 1923 Capt. 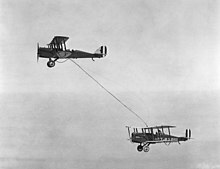 Lowell H. Smith and Lt. John P. Richter performed the first ever aerial refueling in a DH-4B biplane. 1941 Romanian governmental forces, allies of Nazi Germany, launched one of the most violent pogroms in Jewish history in the city of Iaşi, resulting in the murder of at least 13,266 Jews. 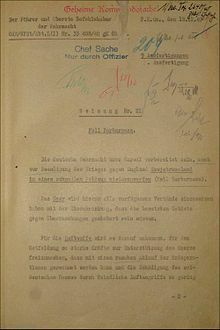 1941 German troops captured the city of Białystok during Operation Barbarossa. 1942 Bruce Johnston, American musician (The Beach Boys) was born. 1950 The United States decided to send troops to fight in the Korean War. 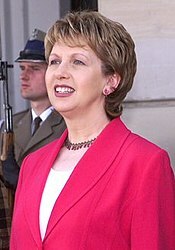 1951 Mary McAleese, President of Ireland, was born. 1954 The world’s first nuclear power station opened in Obninsk, near Moscow. 1967 The world’s first ATM was installed in Enfield, London. 1970 John Eales, Australian Rugby Player, was born. 1973 The President of Uruguay, Juan María Bordaberry, dissolved Parliament and headed a coup d’état. 1974 U.S president Richard Nixon visited the U.S.S.R..
1975 Mark Williams reached No 1 with Yesterday Was Just The Beginning of My Life. 1976 Air France Flight 139 was hijacked en route to Paris by the PLO and redirected to Entebbe, Uganda. 1977 France granted independence to Djibouti. 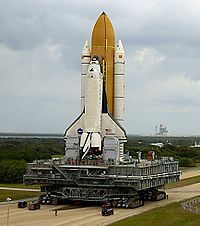 1982 Space Shuttle Columbia launched from the Kennedy Space Centre on the final research and development flight mission, STS-4. 1989 The current international treaty defending indigenous peoples, ILO 169 convention, was adopted. 1991 Slovenia was invaded by Yugoslav troops, tanks, and aircraft, starting the Ten-Day War. 2007 The Brazilian Military Police invaded the favelas (slums)of Complexo do Alemão in an episode which is remembered as the Complexo do Alemão massacre. You are currently browsing the Homepaddock blog archives for the day Monday, June 27th, 2011.